FastModel Sports breaks down how top coaches are using a basketball coaching app like MaxOne to win the off-season. The clock hits zero, the final buzzer sounds, and just like that, you find yourself addressing your team one last time. Perhaps your season ended in the best way possible, a championship, a buzzer beater, a thrilling victory. Perhaps it didn’t. No matter what happened to your team this year, every program in the country is entering the same period, whether they want to or not: The off-season. At FastModel Sports, we have a passion for providing coaches with the best content, resources, and tools to maximize your programs’ efficiency and in turn, win the off-season. How can I become a better communicator? How can I train my athletes more efficiently and effectively? How can I increase my inter-team competition? In this post, we’ll look at how a top basketball coaching app has already helped coaches like you address these concerns. 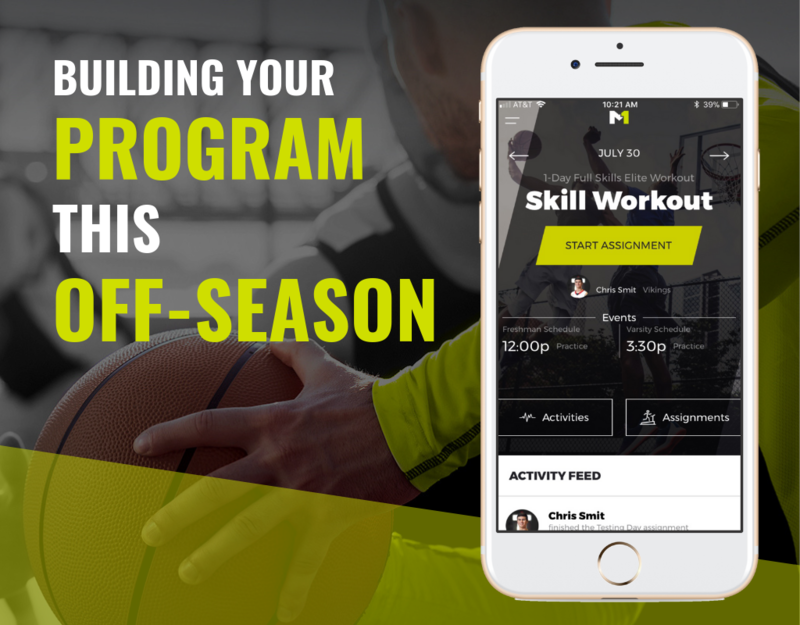 For the sake of specifics, we will take a look at MaxOne, the all-in-one basketball coaching app to see how coaches across the country are utilizing this technology to lead their program into their best off-season yet. Intrigued? Schedule a demo to see it in action. What is the biggest hurdle when it comes to an off-season workout program? Participation and engagement from your athletes will always rank near the top. 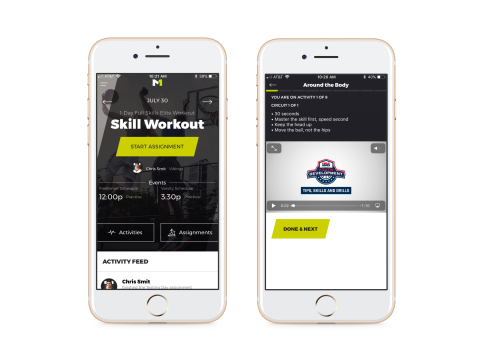 Using a basketball coaching app like MaxOne, you are able to create custom workouts, on the court or in the weight room, that can be sent directly to your athletes’ phone or device. It doesn’t matter if your athlete is on vacation, at the local gym, or in their driveway. They will have the ability to access their MaxOne account 24/7 letting them view and execute the workout for the day as instructed, eliminating any off-season excuse. After completing each exercise, athletes can record their performance to track their progress. Results are posted in real time on program-wide leaderboards, permitting coaches and other athletes to see the results letting them compete for the top spot on the leaderboard all summer long. Great coaches are great communicators. In the off-season, you don’t see your athlete at practice every day, but that doesn’t mean all communication should be lost just because the season is over. 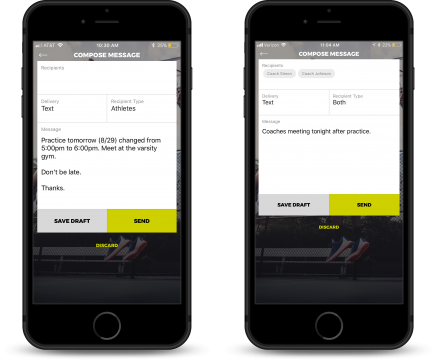 A mobile basketball coaching app like MaxOne has messaging features that allow you to send emails or text messages to coaches, athletes, and even parents all with the touch of a button. Send messages to specific position or age groups in order to personalize every message you send. MaxOne also has a live team chat feature that can be utilized on the mobile app. Create conversations within your whole team or in specific groups and send and reply to messages in real time. With everything going on this off-season and summer, MaxOne has plenty of tools that will help you stay organized even when it may not seem possible. 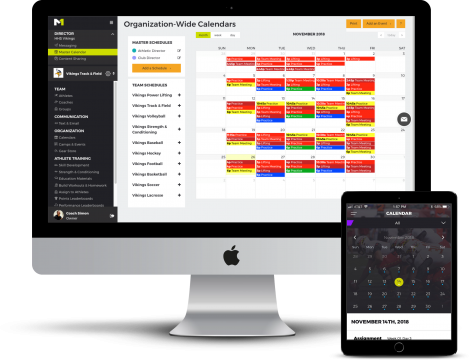 You can create separate, color-coded schedules within your calendars that apply to different groups in your program; letting players, parents, and the entire coaching staff know exactly what is going on between each group. The MaxOne Coaches Corner is the perfect solution to every coaching staff looking to grow together in the off-season. Have a great idea for a new practice plan? Upload it to the Coaches Corner. Come across a new drill you want to implement next year? Store it in the Coaches Corner so it is there waiting for you when next season starts. What is an off-season without running a camp or event? This feature enables you to easily create an event, invite participants through the app and even collect registration fees and tee shirt sizes. The tool’s real-time roster of everyone who has signed up is a huge timesaver. How are you striving to communicate better? In what ways are you leading a more efficient skill/strength program? How is your team growing in inter-team competition? Hopefully, after reading this article we’ve shown you one of the best ways to answer these questions for your own program. Get started today by setting up a demo of MaxOne with one of their program specialist.